…./// was struggling for last couple of weeks with OBIEE 11g (11.1.1.5) and IE 8 . The experience was awesome !! pathetic … it is extremely slow starting from login page and browsing across reports/changing the reports views/layouts and while play with overall application ad-hoc basis. Initial assumption was that it is due to OBIEE 11g with its lot of junkies (animations ,flash plugin and special chart rendering engine etc..) .I thought it could be a database problem as for my case database was also not pretty strong. So overall performance issue could be for new OBIEE 11g. It was so irritating to develop a reports there which can pretty easily frustrating a developers . Even the console and EM window and other navigation options was pretty slow. So what is this HTTP 304 …let’s have a look ..
HTTP 304 doesn’t really indicate an error, but rather indicates that the resource for the requested URL has not changed since last accessed or cached. The 304 status code should only be returned if allowed by the client . The client specifies this in the HTTP data stream sent to the Web server e.g. via If_Modified_Since headers in the request. Systems that cache or index Web resources (such as search engines) often use the 304 response to determine if the information they previously gathered for a particular URL is now out-of-date. Obtain an IP address from the IP name of the site (the site URL without the leading ‘http://&#8217;). This lookup (conversion of IP name to IP address) is provided by domain name servers (DNSs). This error occurs in the final step above when the client receives an HTTP status code that it recognises as ‘304’. You should never see this error in your Web browser. It should simply present the Web page from its cache – because it believes the page has not changed since it was last cached. If your client is not a Web browser, then it should equally be able to present the page from a cache. If unable to do so, it is not using the If_Modified_Since or related headers correctly. You should never see this error at all for the CheckUpDown service. It indicates defective programming by us or the developers of the Web server software. Either we or they are not respecting HTTP protocols completely. The 304 status code should only be returned if we allow it in the HTTP data stream we send to the Web server. Because we keep no records of the actual content of your URL Web page, we specifically disallow the 304 response in the HTTP data stream we send. So if the Web server implements the HTTP protocol properly, it should never send an 304 status code back to us. This response is not what we expect, so we actively report it as an error even though it does not necessarily mean that the Web site is down. Please contact us directly (email preferred) whenever you encounter 304 errors. Only we can resolve them for you. Unfortunately this may take some time, because we have to analyse the underlying HTTP data streams and may have to liaise with your ISP and the vendor of the Web server software to agree the exact source of the error. So enough fade up with HTTP 304… lets see how Oracle proposed to resolve the problem using “HTTP compression and caching” technique. 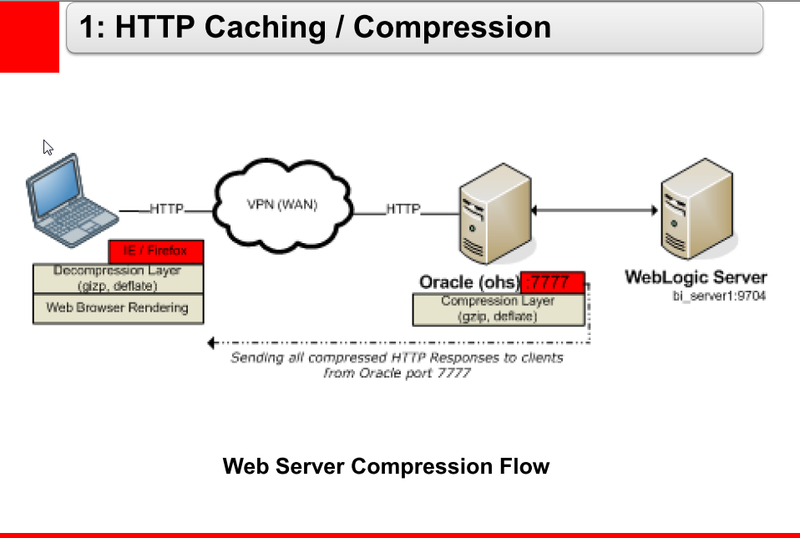 Why use Web Server Compression / Caching for OBIEE? 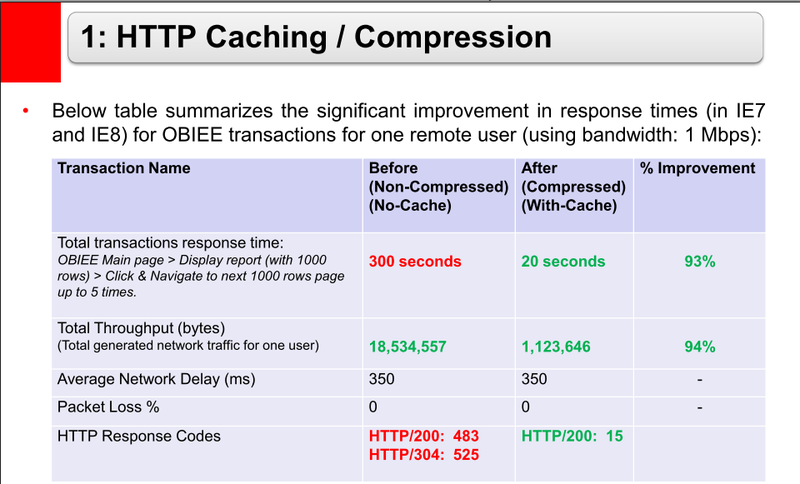 o Bandwidth Savings: Enabling HTTP compression can have a dramatic improvement on the latency of responses. By compressing static files and dynamic application responses, it will significantly reduce the remote (high latency) user response time. o Improves request/response latency: Caching makes it possible to suppress the payload of the HTTP reply using the 304 status code. Minimizing round trips over the Web to re-validate cached items can make a huge difference in browser page load times. This screen shot depicts the flow and where the compression and decompression occurs. 1. To implement HTTP compression / caching, install and configure Oracle HTTP Server (OHS) 11.1.1.x for the bi_serverN Managed Servers (refer to “OBIEE Enterprise Deployment Guide for Oracle Business Intelligence” document for details). 2. On the OHS machine, open the file HTTP Server configuration file (httpd.conf) for editing. This file is located in the OHS installation directory. Above caching rules restricted to static files found inside the /analytics directory(/web/app). This approach is safer instead of setting static file caching globally. In some customer environments you may not get 100% performance gains in IE 8.0 browser. So in that case you need to extend caching rules to other directories with static files content. If OHS is installed on separate dedicated machine, make sure static files in your BI ORACLE_HOME (../Oracle_BI1/bifoundation/web/app) is accessible to the OHS instance. But as per my observation till now, OBIEE 11g is still pretty slow specially in developers mode when you are editing some views in compound layouts,playing with measures and switch across columns across different sections ! 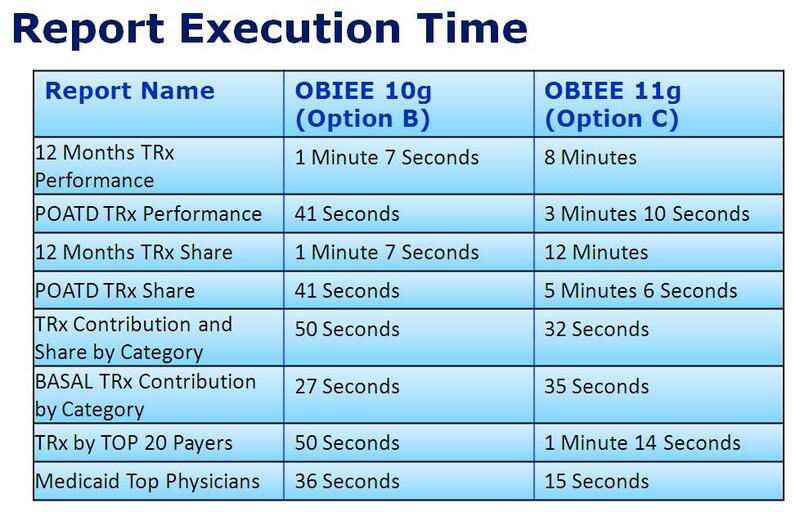 It is still not best bet in regard of performance and response time … ! The portion of the above information of the has been actually except from Oracle Support ID (1312299.1) . In the upcoming thread I will explain a loads of OBIEE 11g related bug/issues and unpredictable behavior and couple of non-working and missing treasures …..
Stay tuned until then …..
Well …. 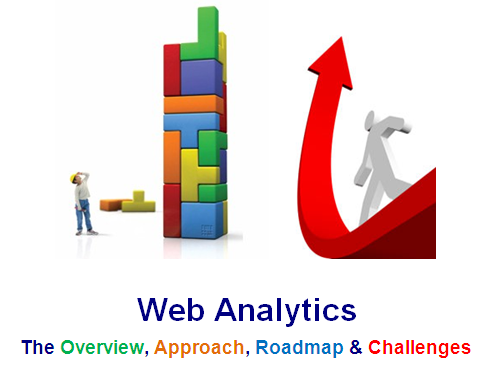 ◊Web Analytics ◊ is an emerging strategic webtrend concept . Below information will detail out actual goals , enterprise wide benefits, key challenges of the implementation and the available modern technologies/tools to achieve the digital marketing objectives from technical implementation perspectives. 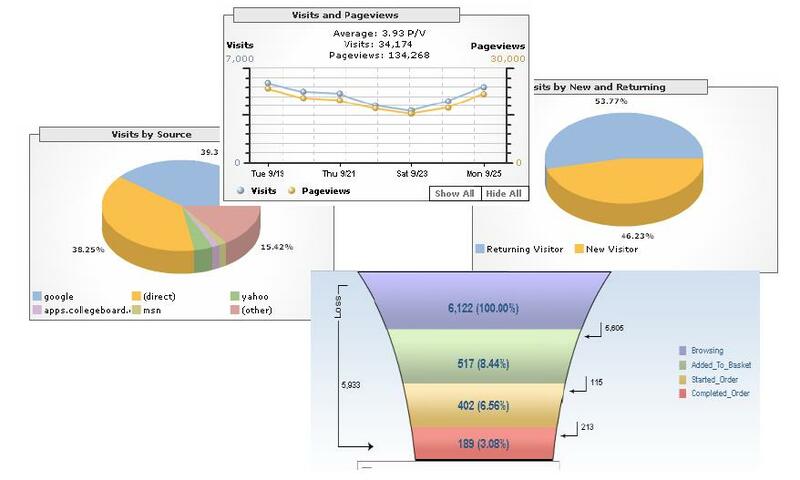 Web analytics is the practice of measuring, collecting, analyzing and reporting on Internet data for the purposes of understanding how a web site is used by its audience and how to optimize its usage.It is a kind of study of visitor, navigation and traffic patterns to determine the success of a hosted business sites just looking after the Web trends. The key benefits are high marketing return on investment (ROI) as the business focus shifts on reality check and periodic review of the expectations.So final goal is the examination of bottom line of business using Key Performance Indications (KPI) measures. Gathering the technical statistics is important to understand the website traffic, effectiveness of the same in respect of business performance and analyses them using web analytics solution for decision making. The key area is to determine the activities performed in the hosted sites to leverage path analysis for effective optimization. As data volumes increase, business analysts are becoming overwhelmed trying to understand how it all maps together. Enterprises are challenged that high-end solutions require so much effort. At the same time, entry-level solutions typically offer little in-depth reporting. Technology is only part of the solution.However organizations must coordinate across departmental boundaries to be successful at utilizing web analytics. Key highlight on metrics like Hit , Page View, Session , Unique Visitors , Repeat Visitors , Bounce Rate, %Exit , Session Duration , Click etc . The post monitoring activities after looking the Web Trend will be classification of business areas and take necessary actions to focus on problem areas while optimising the results. See you next time …. Stay tuned @! 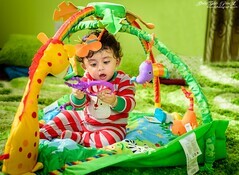 So this is what I am going to cover for next couple of days …. Stay tuned !!! Welcome back after long days…. 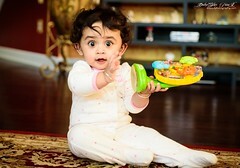 and again starts with problem !! Yes one of my fellow co-worker installed OBIEE 11g new release (11.1.1.5) in a Windows Virtual Machine setup with his own credentials and once he logs out Weblogic server died . Caused By: oracle.security.jps.JpsException: [PolicyUtil] Unable to obtain default JPS Context! Caused By: oracle.security.jps.service.keystore.KeyStoreServiceException: JPS-06514: Opening of file based farm keystore failed. OPSSjava security policy provider failed due to exception, see the exception stack trace or the server log file for root cause. Reason: OBIEE 11g Weblogic server didn’t allow any user to startup the server without the proper privileges and hence most of the case the issue found while ‘User1’ installed the app and ‘User2’ try to do the start/stop of weblogic server .